Members of Cork Access Group attend Civic Reception » Comhar Chathair Chorcai Teo, Cork City Partnership Ltd.
Cork Access Group works to improve the built environment for people with disabilities in Cork. The Access Group meets regularly with Cork City Council engineers to ensure the disability perspective is to the forefront in all development work carried out in Cork. In recognition of the contribution made on an ongoing basis by the Cork Access Group, Lord Mayor Catherine Clancy invited the members to a civic reception in City Hall recently. 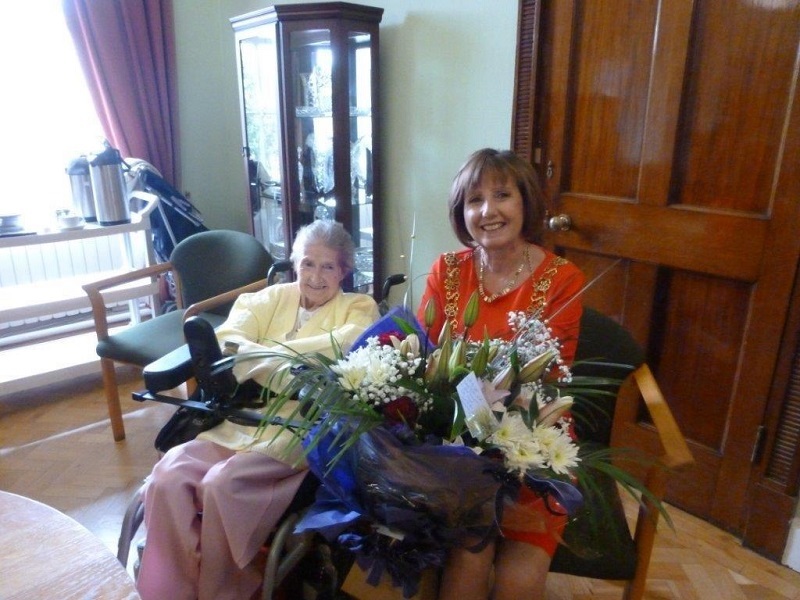 Irene Murphy as a longstanding member of Cork Access Group is pictured giving the Lord Mayor a floral bouquet to mark the occasion.